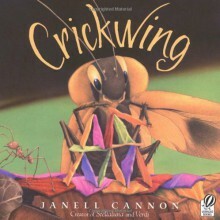 Crickwing never set out to be a bully--he wanted only to create his art in peace. But the little cockroach is an easy target for the bigger creatures in the forest. In his frustration he decides to even the score by bullying the leafcutter ants. They're just so easy to pick on. Big mistake. Nobody angers the leafcutter queen and gets away with it.